Click anywhere on the PICO to reveal its full feature set. Among the features you’ll find the Literature Search tab. 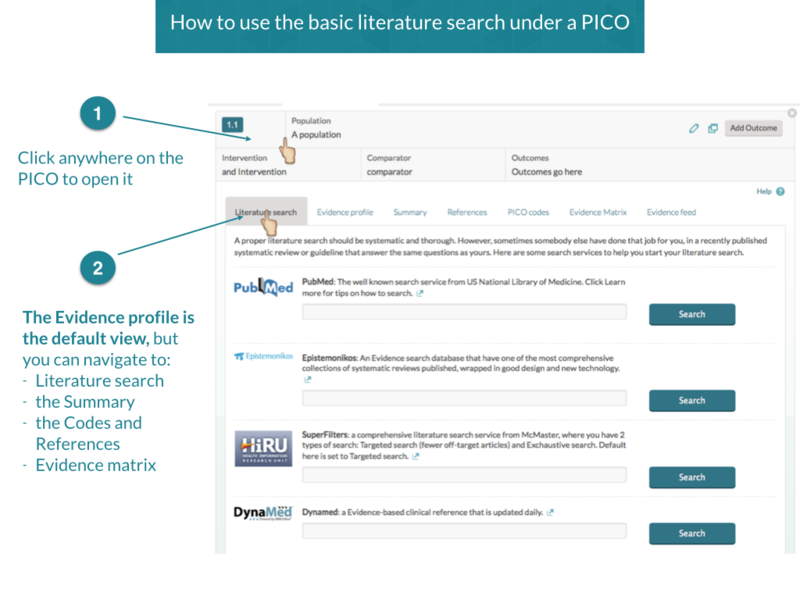 We have added some search services to help you explore published systematic reviews and guidelines. 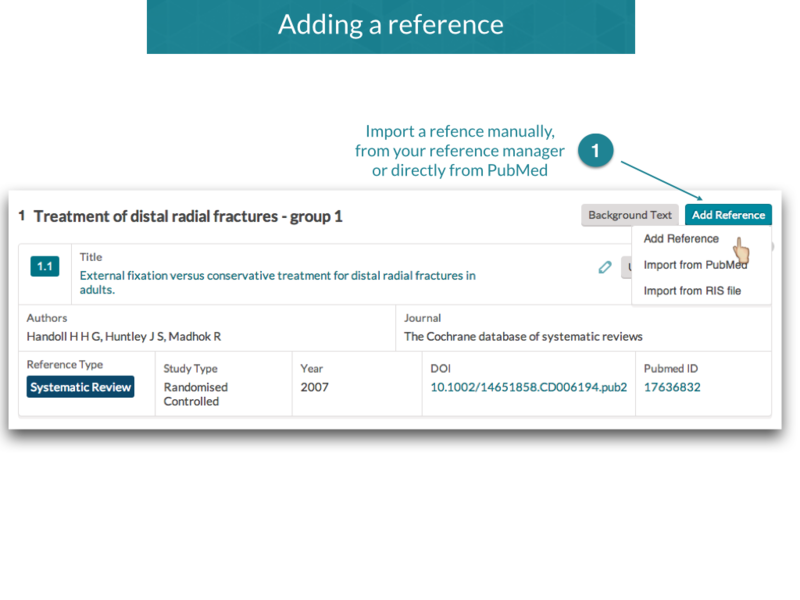 If you need to make your own meta-analysis, we suggest you use a screening and data-extraction tool, like Covidence. When meta-analysis is done, you can import it as a reference. We do not recommend adding all the included studies of a meta-analysis as their own references as the more references you add the bigger the guideline gets, and the slower it becomes.